Breakfast is one of the most important meals of the day. It literally means breaking the Fast. When you are on a Keto Diet you have to make sure that you meet your macros requirement and breakfast becomes even more important. 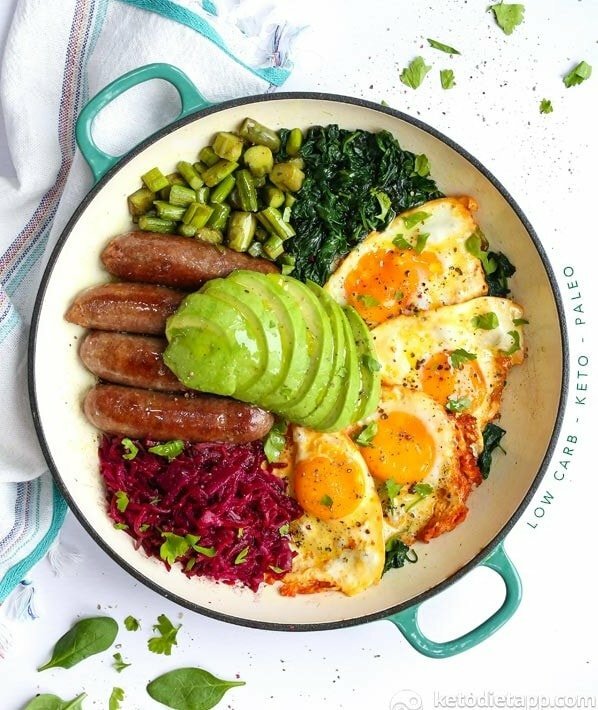 So to make it easy for you I have got a list of 15 delicious and simple Keto breakfast recipes. Keto breakfast doesn’t have to boring egg and bacon only, this list has a variety of recipes from flaxseed wraps to healthy smoothies to fluffy pancakes. I am sure with these recipes in hand you’ll never run out of ideas and food when you need it the most. These breakfast recipes are low in carb, tasty and will help you to lose weight easily. If you want to start your day with a big breakfast then this is it. You can replace the sausages with smoked salmon or other healthy options. The beauty of the Keto diet is that you can eat tasty food and still lose weight. Just take care of your macros. Pancake on weight loss??? It’s getting better and better. 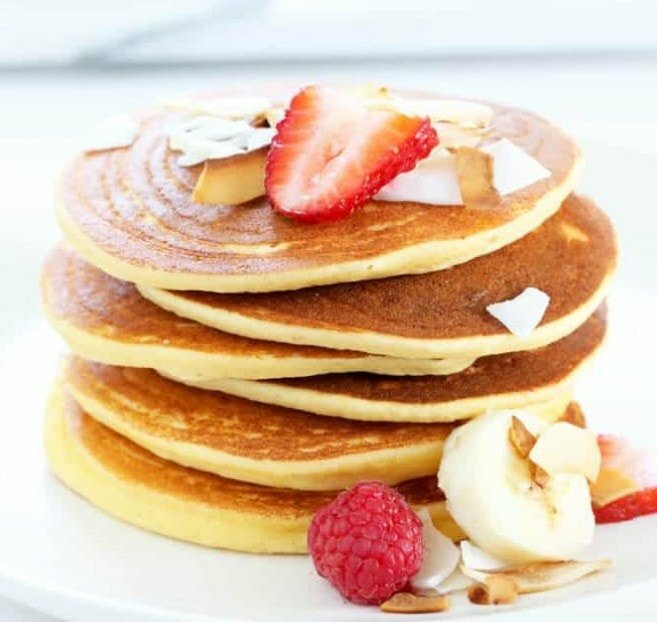 These fluffy pancakes are made from super healthy coconut flour. 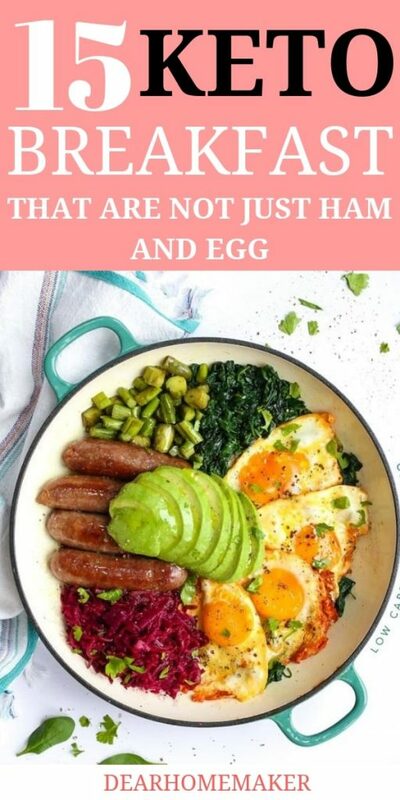 Omg, if you are a fan of avocado like me then you gonna love this breakfast. 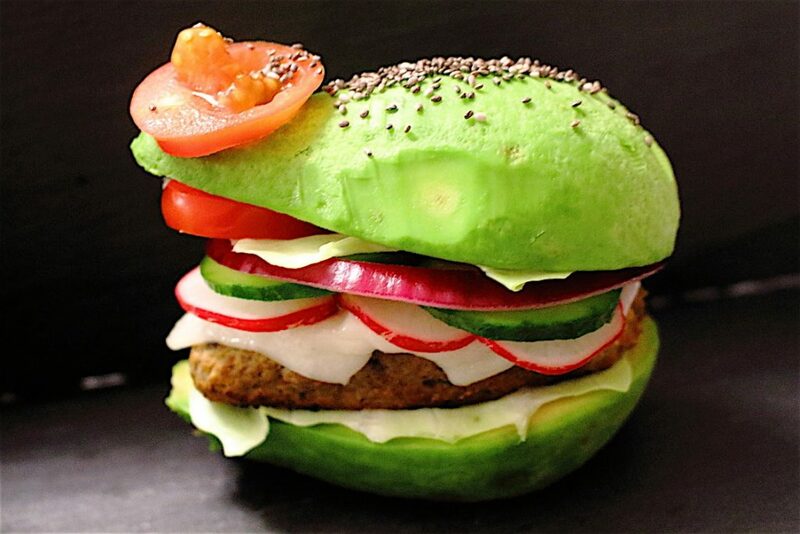 Replace the bun of your healthy burger with avocado and you have your healthy keto breakfast. 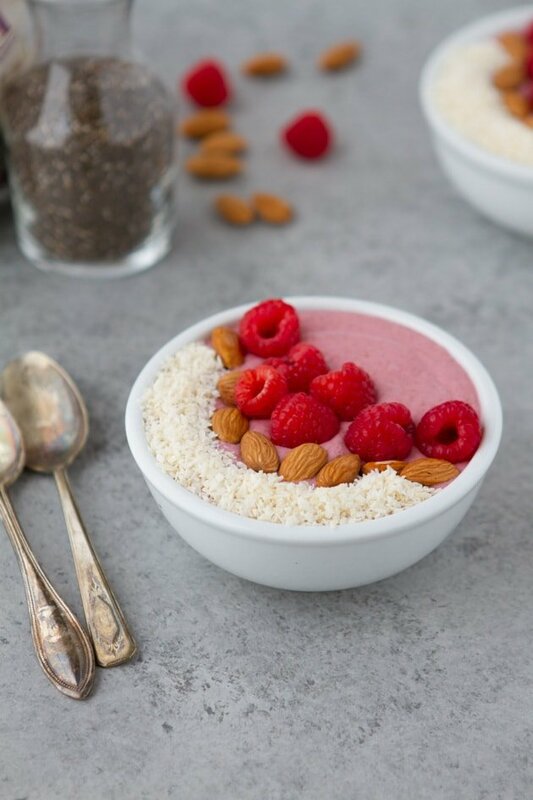 This egg-free, dairy-free, Paleo and sugar-free Keto breakfast is super healthy and dense with the goodness of raspberry, coconut milk, and chia seed. This keto breakfast is amazingly tasty and easy to make. 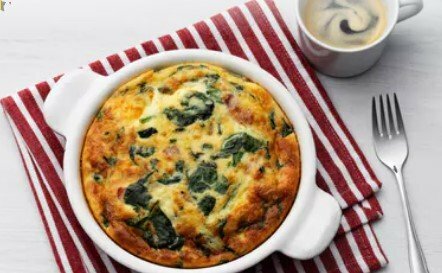 With bacon, spinach, cheese, and eggs, this frittata is going to keep you full for a long time. 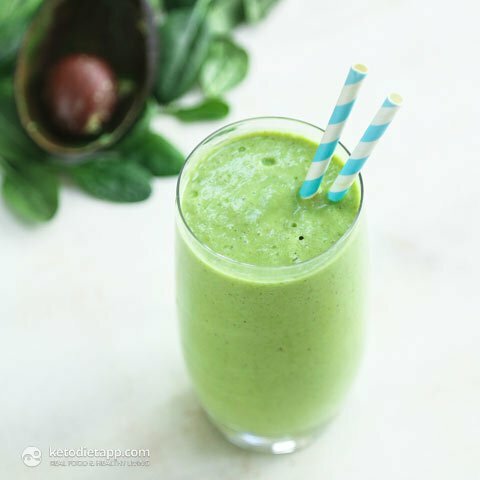 If you are a smoothie person then this healthy smoothie can be an awesome Keto Breakfast for you. With amazing ingredients like Avocado, spinach, and matcha (green tea), this is one of the most healthy breakfast options. Oh, I am so making it without any bacon. This awesome cauliflower bake is made up of cauliflower, bacon (you can replace it or leave it) pea and lots of eggs. Yumm…simply Yummy. Enjoy this Coconut flour waffle with keto ice cream and raspberry. You add cinnamon or ginger to make it spicy. These waffles are easy to make keto breakfast and are healthy and tasty. 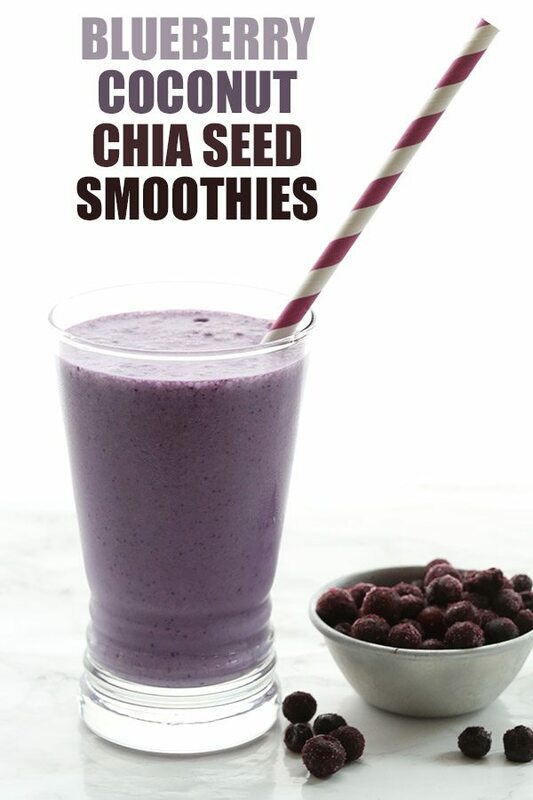 This blueberry coconut chia smoothie is so colorful and not to forget full of antioxidant and nutrient. I am sure kids will be attracted to the color. Both adults and kids can enjoy this super healthy smoothie at the breakfast. 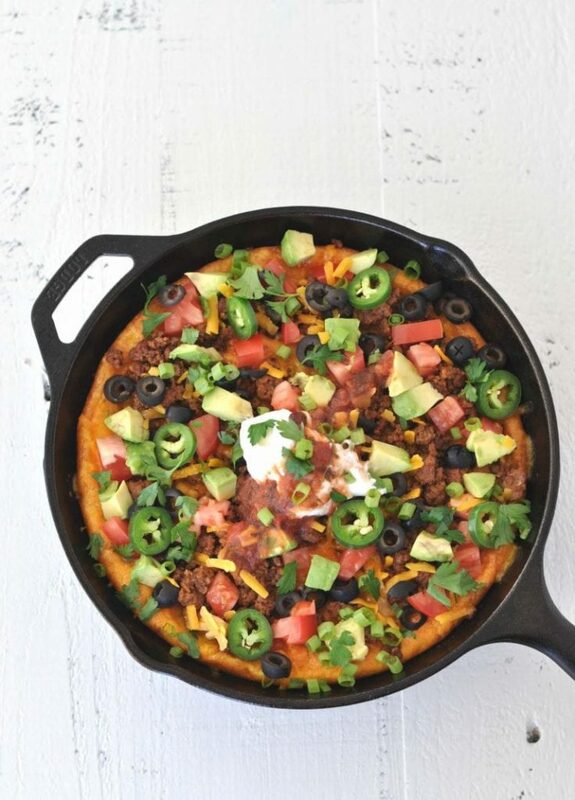 You can enjoy these taco skillets not only at breakfast but also for the dinner. 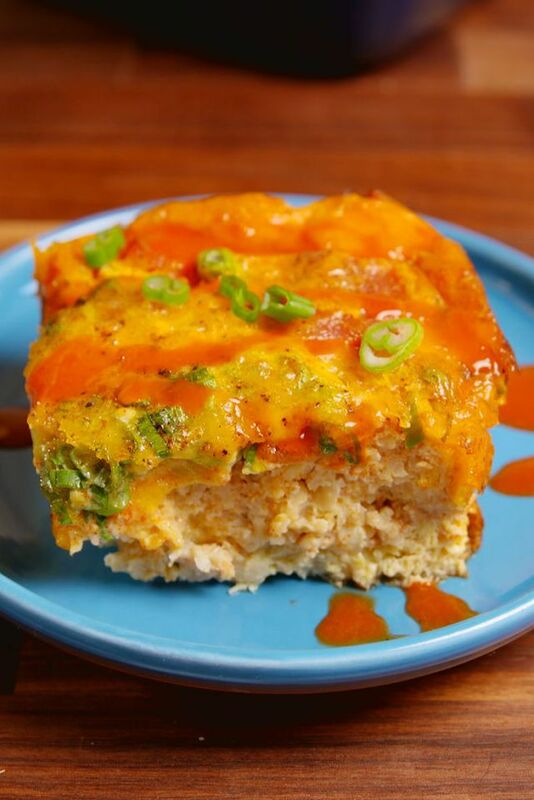 You can enjoy this keto breakfast on the weekend with your family. 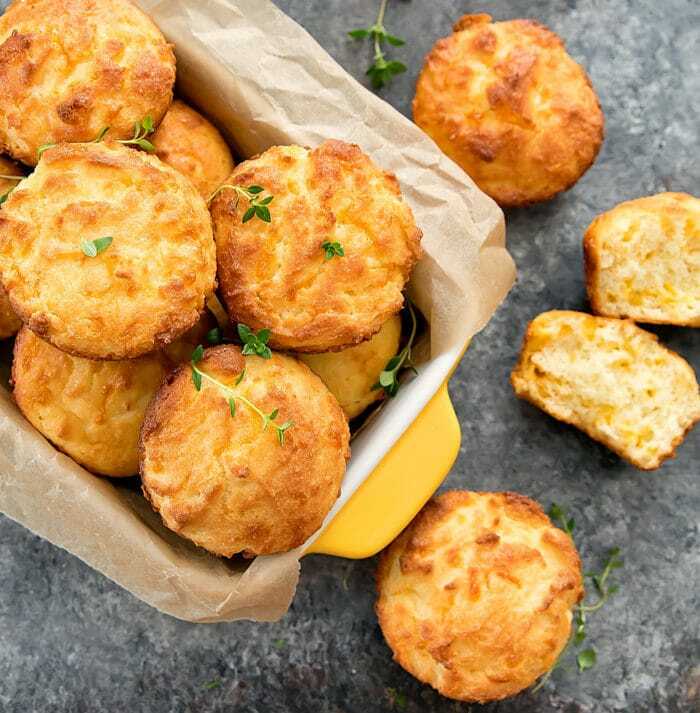 You can make and save these low carb keto biscuits for the early morning rush. These soft biscuits or muffins are made up of almond flour and cheese plus you can add species of your choice to make it spicy. Wow, I didn’t know about Cauliflower rice till I stumble upon this recipe. It looks like people on keto diet have found an amazing replacement for rice. If you are ignorant like me about cauliflower rice then it’s made by pulsing cauliflower florets in a food processor (or grate them on a box grater) until they’ve broken down into tiny granules. 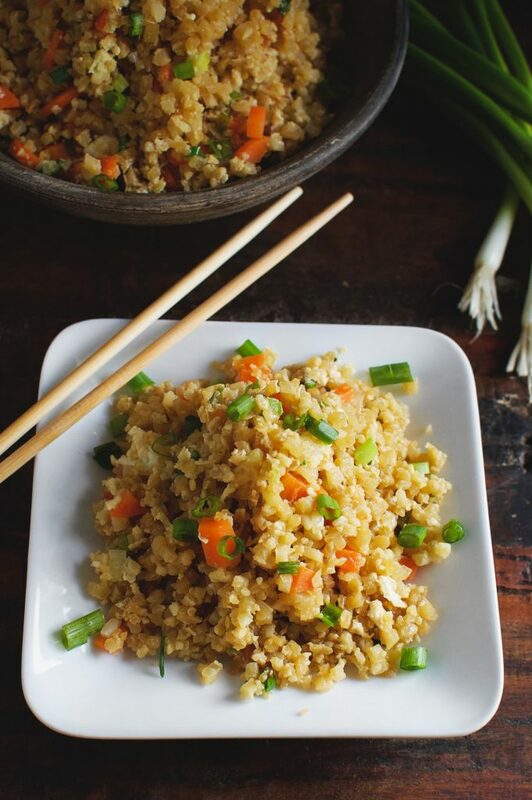 You can replace your favorite fried rice recipe with this cauliflower rice and enjoy the meal. 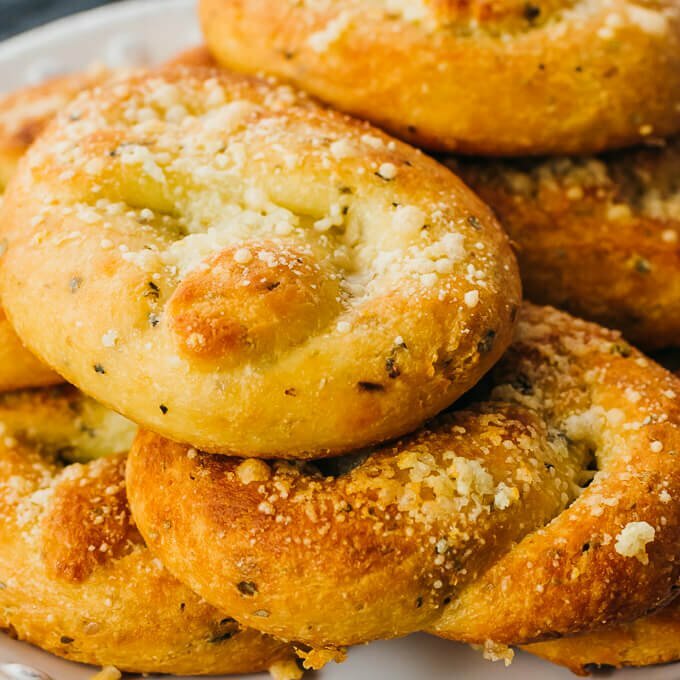 These super tasty and beautiful garlic knots are made up of blanched almond flour, mozzarella cheese, cream cheese and lots of garlic powder. Think that on Keto diet you cannot enjoy any wraps or bread or only egg warp is an option for you? Nope! You have lots of options and lots of healthy options actually. This flaxseed wrap is one of them. These wraps are so yummy, easy to make and very healthy. Of course, you cannot start a morning without a coffee so a Keto coffee recipe was a must. Actually, in keto world, it’s also called bullet-proof coffee. 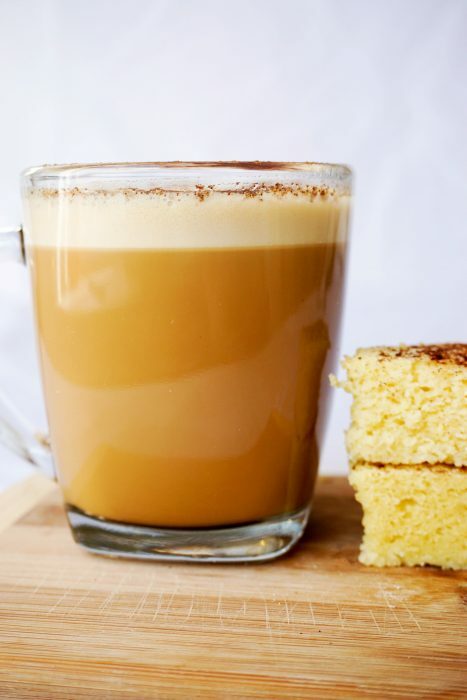 This coffee is your regular coffee loaded with lots of good fat and energy that’s why the name -bulletproof coffee. So, guys with this list you’ll never run out of ideas to make a tasty and healthy Keto breakfast. Always in control of your macros and lose weight fast with these keto breakfast recipes.